NOTES TO PERFORMANCE: Mittleman Investment Management, LLC (“MIM”) claims compliance with the Global Investment Performance Standards (GIPS®). MIM is an SEC-registered investment adviser. The composite includes all fully discretionary separately managed accounts which follow the firm’s investment strategy, including those accounts no longer with the firm. 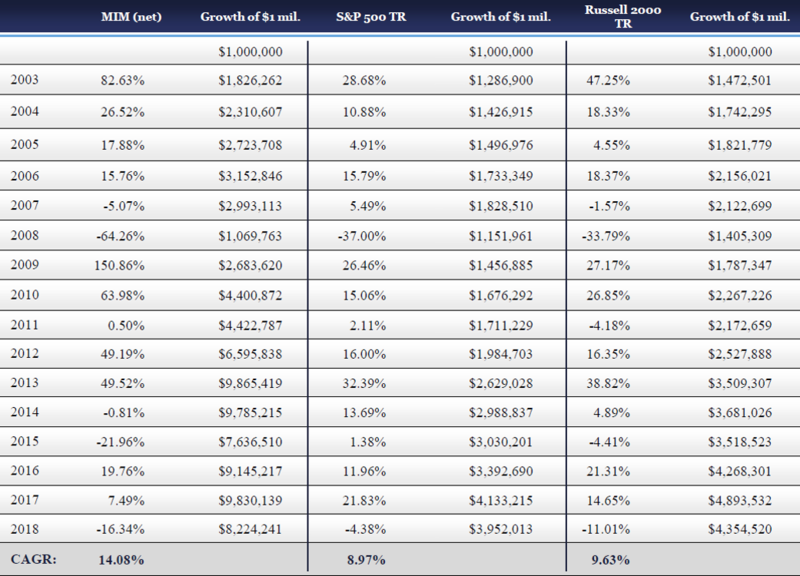 Composite returns are presented gross and net of management fees and include the reinvestment of all income. MIM’s value-oriented strategy is to invest in a concentrated portfolio of primarily common stocks, unrestricted as to market capitalization, of both domestic and international companies. The U.S. Dollar is the currency used to express performance. 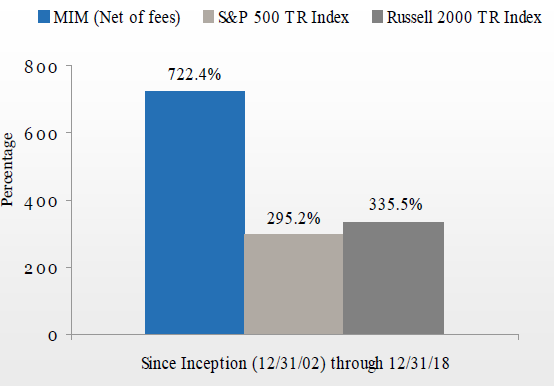 Performance presented prior to January 2006 occurred while the Portfolio Manager was affiliated with a prior firm and the Portfolio Manager was the only individual responsible for selecting the securities to buy and sell. Past performance is not a guarantee of future results. Margin is not an active part of the management of the accounts but may be used on an opportunistic basis if permitted by the client. Investments made by MIM for its clients differ significantly in comparison to the referenced indexes in terms of security holdings, industry weightings, and asset allocations. Accordingly, investment results and volatility will differ from those of the benchmarks. The Global Investment Performance Standards are a trademark of CFA Institute. CFA Institute has not been involved in the preparation or review of this report/advertisement. For more information or for a copy of the firm’s fully compliant presentation and the firm’s list of composite descriptions, please contact us at (212) 217-2340.